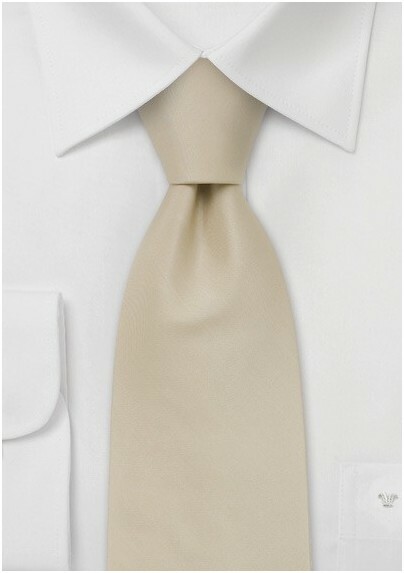 This elegant cream colored tie is handmade from a fine silk fabric with matte sheen. If you are looking for a formal solid colored tie but want a tie with slightly less shine, then this is the right choice for you. This cream colored tie is handmade by designer Parsley. It is one of our best selling classic wedding ties. 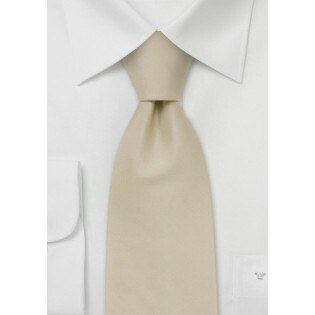 We at Mens-Ties.com also carry this elegant tie in XL length as well as a boys tie.